The honest and loyal Jens Voigt yesterday on his decision to stay with his team, please read: Hardly Serious with Jens Voigt: One More Round, With RadioShack for Bicycling.com. 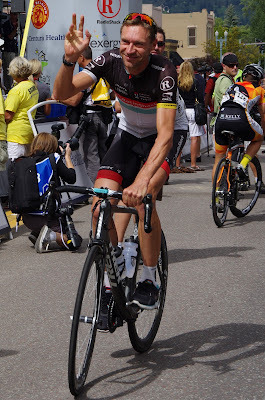 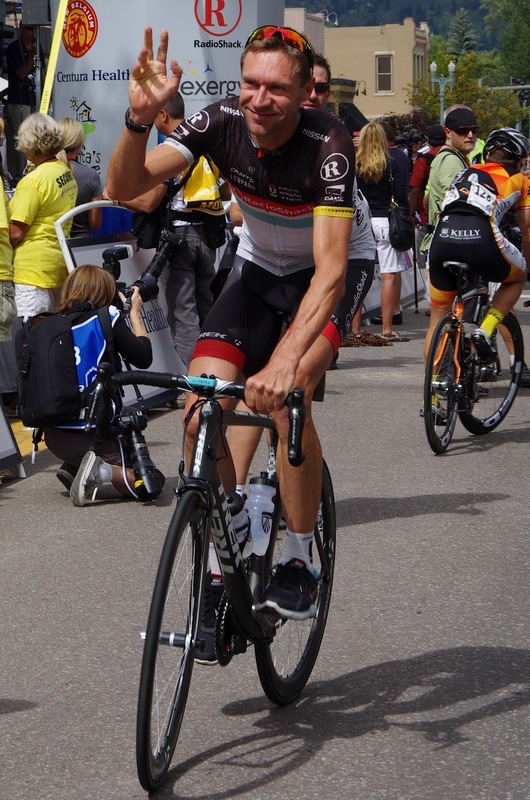 Photos of Jens Voigt last week at the USA Pro Cycling Challenge in Colorado. 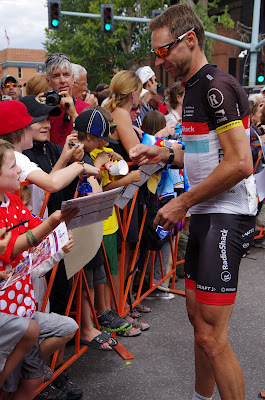 Signing Autographs before the Start of Stage 4 - the stage he would later win! 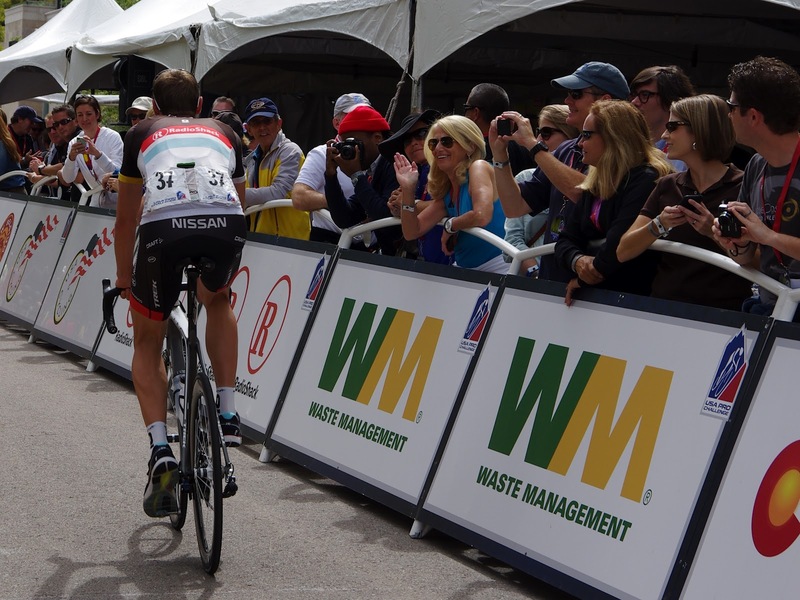 Jens Voigt, truly popular with the American Fans, the race would not have been the same without him.